MELVILLE Peacefully, at P.R.I. on April 10, 2019, Gordon, aged 65 years from Newburgh, loving husband, dad, grandad and brother. Service at Perth Crematorium on Tuesday, April 23, at 2 p.m., to which all family and friends are invited. 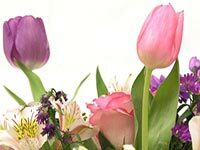 Family flowers only, please, but a donation, may be given for the Rheumatology Dept., at P.R.I.